SQL (Structured Query Language) is a special-purpose programming language designed for managing data held in a relational database management system (RDBMS). sql IS based upon relational algebra and tuple relational calculus. Although SQL is often described as, and to a great extent is, a declarative language (4GL), it also includes procedural elements. SQL was one of the first commercial languages for Edgar F. Codd's relational model, as described in his influential 1970 paper "A Relational Model of Data for Large Shared Data Banks". This is more of a O/L ICT Topic, However related to A/L ICT in many ways. Describe how Wireless Technologies, Mobile Computing and Cloud Computing help bridge the digital divide in Society. simplify the presentation of web pages. CSS take care of the look and feel of a web page. CSS help control the color of the text, the style of fonts, spacing between paragraphs, background images and other effects. CSS enable presenting same content on different devices like mobiles , tabs, Web TV and desktops. CSS is combined with HTML and XHTML. Value: Values are assigned to attributes/properties. color:red etc. Internal styles are defined in the <head> section of an HTML document, by using the <style> tag. An external style sheet is used to apply same style to many pages. As each page links to a common style sheet, you can change look and feel of all web pages by changing the external css. The css renders the content of every element in black. The Descendant Selectors: style rule will apply to <em> element only when it lies inside <ul> tag. All the elements having "black" will have text in black. Renders the text in black for <h1> elements with class name "black"
This content will be styled by the class centerbold. All the elements having same id will be formatted. Renders the content in black for every element with id "black"
Renders only the H1 with id ="black"
define multiple styles of single element, class or id. You can apply a style to many selectors in one go. Web application use a combination of XHTML, CSS, DOM, XML. Gmail is one example of a web application that utilizes AJAX. CGI allows users visiting a web page to send and receive information from a server. Help create consistence look and feel of web pages. It help defining the classes of fonts colors, tables within a .css file/or inline. The developer ever wanted to change the look or feel of their pages could change the CSS file instead of editing each page. Is a set of standards that allow users of the World Wide Web to exchange information found on web pages. When wanting to access any web page enter http:// in front of the web address to tell the browser to communicate over HTTP. Service provided by Internet Service Providers and other companies that allows a user to store and access their web page from the provider's servers. An Icon, graphic, or word in a document that links to another file or object. 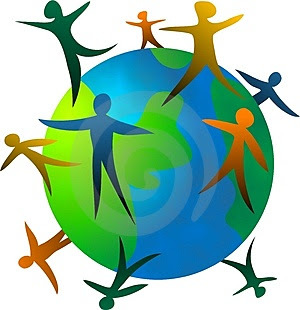 The World Wide Web is comprised of hyperlinks linking millions of pages and files to one another. ICANN is responsible for Internet Protocol (IP) address space allocation, protocol identifier assignment, and generic and country code Top-Level Domain names. Tags within HTML that help define the contents of a web page. Meta tags help Internet search engines and browser display search results and web pages more appropriately. Identify the content type and charset of the web page being displayed and how to display it. Placing Advertisments on the Internet based on content on the page. The advertising company scan the webpage for keywords to place ads. Google Adsense. A program used to perform an automated task for the user based on an event, condition or state. an e-mail program can be setup to look for any new e-mail from a server and then tell you about it. Search engines use bots, Price bots help find best prices on internet. (robots) a bot is a program designed do a specific task such as gather information form websites, Index them. Google Spider index web pages. a spider software designed to query a web page and parse through all the information and collect information. Search engines use spiders/bots to gather keywords from web pages and sort them in their search engines. A bookmark is a method of saving a web page's address on the browser. A company or web site that directs customers to another business or web site and receives a percentage of what the customer purchases . an Application Programming Interface (API) used in web to access the elements within HTML and XML documents. Short for eXtensible Stylesheet Language, XSL is a stylesheet for XML documents. defines the overall look and feel of the HTML elements with font type, colors, etc. a markup language, similar to a standard language, utilizing various rules, statements and expressions. A good example is XML. eXtensible Markup Language, is a specification developed by W3C. uses Tags to markup a document, unlike HTML, XML language is unlimited and allows self-defined tags. a thread is a portion of a program that is executed in conjunction with the main program that performs another task. A program is capable of having multiple threads open at once and will either terminate or suspend the thread when the thread's task is complete or the program is closed. Internet cache is used to help improve how fast data is opened while browsing the Internet. each time a web page is opened, it is sent to your browser's temporary cache on your hard disk drive. If that page is accessed again and has not been modified, the browser will open the page from your cache instead of downloading the page again. This saves users a lot of time, especially if that the user is using a modem, and can also help save the web page owner on bandwidth. PageRank helps sort web pages on the Internet by running the page through an algorithm and giving it a numerical weight that is used to sort results when a user uses the Google search engine. Agents that automatically search the Internet to obtain information about prices and other attributes of goods and services. Alternatively referred to as a link exchange, a reciprocal link is a link that is placed on a web page in exchange for the other web page to link to your web page.By participating in link exchanges with other popular pages you can increase your rank in search engine results. A live broadcast of a video or audio presentation. conference calls for investors and live versions of radio shows. e learning. search engine optimization, SEO is a technique employed on websites otimize it for search engines to help increase the pages overall rank . A page that contains a link to all sub pages or major sections of a web site. all what the web site has to offer. page size/weight is overall size of a Web page witall of the file s that are used when displaying the Web page in a browser: a Web page that has an HTML document that is 10K in size, a 20K image file, and a 5K style sheet file, would have a page size of 35K. A linked series of web pages, stored at a specific location in the internet. A web page is a unit of information from a website, viewed on screen. Web pages are linked to form a website. An international industry consortium founded in 1994 to develop common standards for the evolution of the web. The starting page of a web site. It is a web page can be accessed directly by typing website domain name. It provides a starting point for a user to use the site. Some sites use a welcome page before home page. The address for each data on the internet, which specifies the the location where it is stored. The URL includes the transfer protocol to be used, for example http, the domain name where it is stored, and other information such as its individual file name. A graphic or piece of text which, when clicked, opens the page or a resource like image, file to which it is linked, on the same website or another site. In HTML, used to indicate the part of a graphic which, when clicked, links to another document on the internet. In HTML, a graphic with invisible links (hot spots) within it. When the cursor is over one of the links, the cursor changes appearance. Clicking on different parts of the image will link to different places on the internet. On the internet, proxy servers can provide a cache of internet pages, which are pages stored when first accessed so they can be supplied later without the delay of again accessing the internet. HTML resources also cached on local users computer. A list of frequently asked questions and answers about a topic. A small program that adds functionality to web browsers to display different file types such as Flash animations. Plug-ins can be downloaded from the web. Rich Site Summary or Really Simple Syndication. A way of subscribing to a website so that you automatically get notified when new information appears there. The process of sending information, e.g. a podcast, to another computer. RSS feed. Short for World Wide Web. 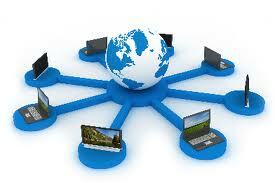 Part of the internet, the web is comprised of all the websites which are accessed via the internet. When information is sent to a client's browser, rather than the client requesting it. A software filter used to identify spam emails before they reach an inbox. An Active Server Page is an HTML page that includes one or more scripts (small embedded programs) that are processed on a Microsoft web server before the page is sent to the user. A small program written in Java and included in an HTML page. It is independent of the operating system on which it runs. Examples are displaying animations, creating chat rooms, time and date functions, etc. The property of an HTML tag, e.g. "align=center" where align is the attribute, in this example set to centre text, an image, or a table, depending on the tag with which it is used. Short for robot. An automated program that follows links on a web page, and then performs some action, e.g. indexing the words on a website. A cookie is a piece of information sent to a browser by a web server when a particular site is visited. The browser then returns that information to the server when that particular website is revisited. For example, an online shopping site might use a cookie to remember which items you've placed in your online shopping cart. The embed HTML tags <EMBED> </EMBED> allow for a variety of objects to be placed or "embedded" within HTML documents, e.g. Flash movies can be placed in web pages using the embed tags. The next generation of HTML, combining HTML and XML. XML is a standard for creating mark-up languages which describe the structure of data. Website authors can use this to create their own, user-defined, tags. An HTML page which describes how the frames are laid out, for example, how many there are. A programming language which enables website authors to provide dynamic content to their sites. Not to be confused with Java. An automated program that follows hypertext links and then performs some action, e.g. indexing the words on a website. SSI scripts are embedded into web pages. The script is executed on the server before the page is delivered to the client machine. An example of use is to include external files inside a page. A particular form of HTML tag which provides information about the document itself, rather than information for the browser on how to display the document. On the internet, the client side is the user's computer, rather than the web server, and refers to when scripts, for example, are executed by the user's computer rather than the web server. Through study of this module is a very important as the MCQ paper is quite focused in your knowledge in fundamentals of ICT. The first part covers data, information and knowledge, how you use them and emphasizes the need of technology to manage data. It also asses your knowledge a how ICT is used in society and tool for accessing and using knowledge. One good idea is to review your knowledge in theatrical as pect of following terms and practical application. While you need to understand the what, why, how of these keywords, you also need to remember some important information like protocols used in technologies, abbreviations etc. 1.3 Describe Drawbacks of manual Methods. In this section examiners expect you to demonstrate understanding of evolution of WWW. Starts with ARPANET to social networks like Face Book &amp; twitter. Telegraph , Morse are earliest electrical communication uses. 1.7 Also understand how the WWW has impact lives of people. In preparing for MCQ, best idea is to read the relevant theory, rather than attempting whole heap of part MCQs. Remember MCQ give 4 wrong answers and one right question. This makes students to panic at exams trying to put his all his knowledge for answering the question. One good method is not trying to find right answer, but eliminating wrong ones considering facts and reaching the right answer automatically. This is work of my ICT students 2011-2013. They learned ICT and digital media creation. This short film produced by them totally using ICT. They also won a Microsoft / World World Bank Youth Solutions award to win USD 20,000 to make 10 digital short films. This kind of information useful to you for learning ICT in society. 1. How ICT can help bridge digital divide? What is knowledge divide? How it can be solved with ICT. In order to answer HTML Question You need to know following HTML Tags by Heart. Understand the difference between radio and option buttons and check boxes. What happens when you tick a check box? What happens when you tick radio buttons? HTML question is easy. You can get full marks. XHTML is supported by all major browsers. You need to know what XML standfor, what it is used for and why? ලෝකයේ සමාජ මාධ්‍ය සහ සමාජ ජාලවලින් අනාගතයේ ගොඩ නැගෙන ලෝකයට සිදුවන බලපෑම ගැන ගවුරවු මිශ්‍රා (Gaurav Mishra), පැස්කල් බියුකල් (Pascal Beucler) සමග නිධි මුකිජා(Nidhi Makhija) යන විද්වතුන් කළ පර්යේශණයක වාර්ථාව තුලින් උපුටා ගන්නා මේ කරුණු අපට ඉතා වැදගත් බැවින් සිංහල භාෂාවට පරිවර්ථනය කර ඔබට ඉදිරිපත් කරමි. මෙය මූණුපොතේ බෙදාගන්න , කැමැත්ත ප්‍රකාශ කරන්න ගූගල් +1 කරන්න. අනාගත ලොකයේ සමාජ අන්තර්ක්‍රියා ගමන් මග ගැන දැන ගැනීම ඉන් ඵල නොලා ගැනීමට අපට අත්‍යවශ්‍යය. Translation & Localization Niranjan Meegammanaකෙටියෙන් කියන්නේ නම් සමාජ සංවර්ධනය පිළිබඳව අපට ඇතිවන ප්‍රභල අන්තර්ඥාණයන් අනාගතයට වටිනා පෙරදැක්මක් දක්වා සංශ්ලේෂණය කරගැනීමට අප නව ක්‍රමයක් සොයාගත යුතුය. අපගේ සමාජ සංවර්ධන ප්‍රවේශයයන් අන්තර්ජාලයේ වියුණු පදනම තුල පුද්ගලික, සමාජයීය මෙන්ම ව්‍යාපාරික සන්නාම හා බැඳුණු ජනඑකතුවක් (crowdsource) නිර්මාණය කිරීමට හේතුවේ. එම සමාජ ජාලා හා ජනඑකතුවද, සමාජ දත්ත, සමාජ ජාලා පුරවැසිභාවයන් හා විවිධාකාර තොරතුරැ ලබාදෙන කථාවස්තූන් තුලින්ද අනාගත සමාජමය එකඟතාවයන් සහ අන්තර්ක්‍රියාවන් කෙරෙහි මහත්වූ බලපැමක් වනු ඇත. එම සමාජ සඹඳතා තුල පවතින අන්තර්සඹඳතා, සමාජමය අනතර්ක්‍රියා හා එවන් සඹඳතා ගොඩනැගෙන රටාවන් හඳුනා ගැනීම තුලින් අනාගත සමාජ ව්‍යුහයන්, අවශ්‍යතා හා නව රටාවන් අවබෝධ කරගැනීමට අපට හැකිවේ. වසරකට වඩා කතුවරුන් විසින් විවිධ වියුණු පදනම්, සමාජ ජාල හා සන්නාම වැඩසටහන් ගැන කළ අධ්‍යයනකින් අනතුරුව අනාගතයේ සමාජ අන්තර්ක්‍රියාවන්(future of engagement)සිදුවන මායිම් 10 ක් හඳුනාගන ඇත. අනාගත ලෝකය මෙහෙයවනු ලබන්නේ සමාජ ව්‍යවසායයකයින් හා සමාජය වෙනස්කරන්නන් (Entrepreneurs and changemakers) විසිනි. සමාගම් හෝ ආයතන විසින් නොවේ. මේ සඳහා ආධාර(crowdfunding) සහ එකතුවීපරිහභෝජනය (collaborative consumption) යන සංකල්ප හේතුවේ. එමනිසා සමාගම් සහ ආයතන තම පැවැත්ම හා දියුණුව උදෙසා සමාජ ව්‍යවසායයකයින් හා සමාජය වෙනස්කරන්නන්ගේ සමාජමය ක්‍රමවේද ඉගෙන ගැනීමත් සහ ඒවා තම සමාජ අන්තර්ක්‍රියා උත්සාහයන් (own engagement efforts) කෙරෙහි යොදාගත යුතුවේ. සමාජ අන්තර්ක්‍රියාවන් හා පුරවැසියන්ගේ පොදු අවශ්‍යතා මත අනාගත ලෝකය හැඩ ගැසේ. එනම් බිම් මට්ටමේ සමාජ වෙනස්කම් ඇතිකරන සහ එකතුවී සමාජ නව්‍යකරණයන් සිදුකරන ව්‍යාපාරයන් (grass roots change movements,collaborative social innovation) සමාජයේ ඉදිරි ගමනට මූලික වේ. අන්තර්ජාලයේ සමාජ සඹඳතා හා අන්තර්ක්‍රියා නිසා ජනතාව තොරතුරු සඳහා සම්මත නාලිකාවන් කෙරෙහි අධික ලෙස (channel) බැඳී නොවතී. පෙරගමන් කරුවන් වන මාධ්‍ය ආයතන ඩිගිටල් නව්‍යකරණය තුලින් සම්ප්‍රේශිත මාධ්‍ය කතන්දරකරණය (transmedia storytelling), සමාජ ප්‍රතිකාරකරණය (social curation), සජීවී සමාජ අත්දැකීම් (social live experiences). ආයතන මේ නව පෙළගැස්ම උගත යුතු අතර නාලිකා මත බැඳී නොපවතින පදනම් සහ වැඩ සටහන් නිර්මාණය කල යුතුය. පරිභෝජනයද (Collaborative consumption) නව මායිම් වේ. මෙම පරිවර්ථනයේ දෙවන කොටස බලාපොරොත්තු වන්න. or from your hard drive by including in the header section on your web page. The jQuery syntax selects HTML elements and perform action on the element(s). $("top").hide() - hides all elements of class="top"
$("#px").hide() - hides the element with id="px". $("p.ix") Selects all <p> elements with class="ix"
In effects, the next line of code can be run even though the effect is not finished. "title" : "Welcome to Chat"
//--- The jQuery append() method inserts content AT THE END of the selected HTML elements. //------The jQuery prepend() method inserts content AT THE BEGINNING of the selected HTML elements. //----The jQuery remove() method removes the selected element(s) and its child elements. //----jQuery empty() method removes the child elements of the selected element(s). AJAX help loading data in the background and display it on the webpage, without reloading the whole page.